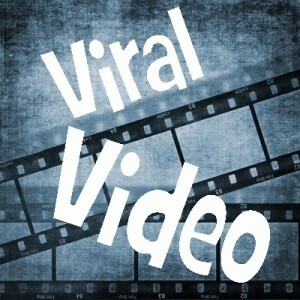 Is Viral Video What You Are Looking For? The words ‘viral video’ have become synonymous, mostly incorrectly, with increasing brand awareness, online marketing and online video advertising. Yes, viral video can do all of that, but there might be a better way for you and your company to get the word out instead of the shotgun approach of a viral video. By definition Viral Video is a video that is put on a video sharing site, like YouTube, that then begins to spread based on the content. That means that the viewers do all the work for you. They watch the video, think it’s cool/funny/informative/awesome, then begin to share it with their friends. In turn their friends find it one of those things and share it with more friends. In the end the video starts racking up millions of views. In other words it spreads like a viral infection from person to person until everyone is immune (isn’t interested in the video let’s say) or has been infected (watched the video, perhaps more than once). Infection (sharing of the video) is generally done through Share buttons, social networks, email or instant messengers. Well, that depends on what it is you want out of the viral video. If you want a video with a lot of views, that’s exactly what you’re looking for. If you want a video to increase your brand awareness, well you might be better served with some other approach like a cohesive online video campaign or some more targeted form of online video sharing. Viral video is sort of like hunting blindfolded with a wide scatter shotgun… you might get lucky and hit something that you want to hit, but you also might aimlessly shoot at a lot of things you don’t want. Some interesting facts about YouTube videos is that an average video is 1.5 minutes but an average YouTube session is about 30 minutes. So the chance of someone seeing your video and heading off to your website seem slim. So if you’re looking for traffic generation or click through it’s not going to be the best route to that for you probably. If you have a range of products that you’re offering for sale, etc. then you might be able to utilize a vast amount of video to get your name out there and increase your brand awareness and even turn it into sales giving you a strong ROI if you’ve got an online shop. Other forms of business, nonprofits especially, have a tougher time of it. How do you take those videos and turn them into conversions to your cause? That’s the magic bullet it seems. With the new call-to-action overlays you might have a stronger chance of getting someone to engage with your site and your cause. But it’s going to take more than just one video. A series of videos that lead from one to the other could eventually create a good basis for getting people involved. An ongoing story, a series of case studies, or a set of instructional yet entertaining videos might be more useful to you than just one video that may or may not go viral and spread like wildfire. Even if it does go viral there’s no guarantee of engagement. Something to keep in mind when planning your video strategy, viral or otherwise, might be ‘how do TV shows do it?’ How do they get viewers hooked? Good writing certainly, interesting/funny plots, good production values, character development, decent acting (of course one might make claims against that last one). These are some things that you will probably need to incorporate into your online videos as well. Just because it’s online doesn’t mean people want anything less than what they expect from other forms of video entertainment. Viral videos are generally about views right? Wrong! Viral videos are about spreading a message without having to do the actual spreading yourself. Sure some viral videos have had millions of hits, but most of them have not been for business, have not been meant to monetize something and have not been meant to raise awareness of a brand, cause or product. So then how do you determine if a viral video is successful? One of the biggest viral video hits for the Maryland State Teachers Association only has about 2000 views. How can it be considered a viral hit? Because the goal of the video was to influence a debate about education funding and the state-level policy-makers and journalists that matter in that debate all heard about it, passed it on, and watched it. It worked. So, just counting eyes-on-video is not always a measure of success. In fact, in most cases it wouldn’t generally be regarded as anything interesting. Television ads play whether or not people are even in front of the TV. Does that mean they are successful because they played to potentially millions of viewers? Not really. You need to take other things into account including ROI, sales impact and engagement. Of all of those engagement is the easiest to track and could be a good measure of whether or not your video was successful, even if it only have 10,000 views. Viral video can indeed be very useful to an organization. But planning is going to be a necessity. You’ll need to lay out a plan of attack, a series of videos and some specific ‘hook’ to get people watching not just the first but the rest of the series and finally you’ll need to find a way and reason for people to engage with your videos. This is generally where a qualified and experiences online marketing firm that is familiar with online video marketing and viral video comes in. They can help lead you down the right path and get you on the road to higher engagement. But you’re also going to need compelling videos and that’s going to require some interesting writers and creative talent. That is going to be how you get people to continue watching your videos and how you will get them to engage with your site, product or brand. You need to think about what the important and interesting things are and ask yourself, “How do we document this work?” You need to ask yourself why do you think what you do is important, and ask your staff as well. These are excellent starting points for nonprofits and commercial businesses alike. If you and your staff can’t find the interesting things in your business, how will you ever manage to convey that to other people in a new medium that you’re not entirely familiar with? The short answer is that you won’t and that will not only cause your video strategy to be unsuccessful but it may make you think it was all a waste of money and turn you away from what could really be a great way to market whatever it is you have to market.